In 1969, Tom Wesaw was an 83-year-old Shoshone doctor and religious leader on the Wind River Reservation in Wyoming. He could no longer drive, which posed problems in making house calls. The arrival of young anthropologist Tom Johnson changed that. Johnson would drive Wesaw, and cook, pump water, and build fires for sweat lodges. In exchange, the elder Tom would show the younger Tom his work. The two were together so often that the people of Wind River began to refer to them affectionately by one name: Two Toms. By the light of the lamp Wesaw gave him, Johnson would write down what he learned. The Shoshone doctor wanted his student to share everything he saw and heard. 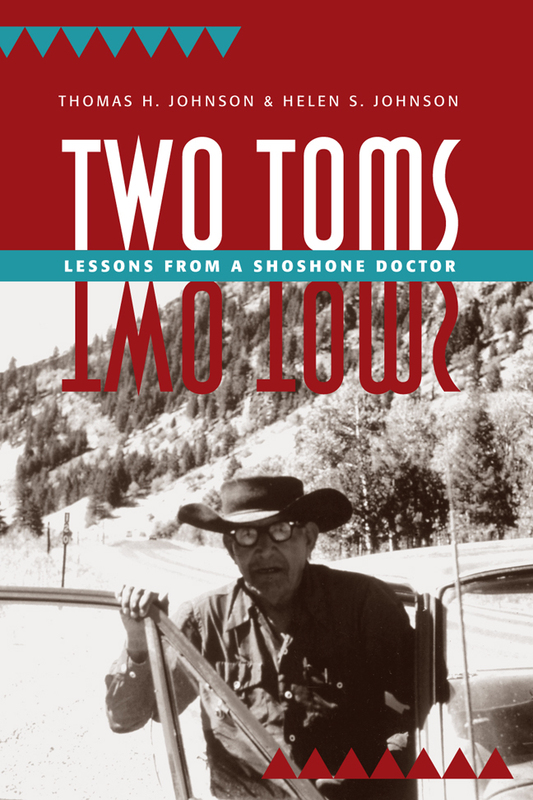 Now, in Two Toms: Lessons from a Shoshone Doctor, he has. Presented as an engaging narrative, Johnson’s book reveals details about the Shoshone culture and it chronicles the story of the friendship between these two men of different backgrounds. Filled with valuable anthropological information, this book is also highly readable and entertaining. Thomas H. Johnson is Professor Emeritus of Anthropology at the University of Wisconsin, Steven’s Point. Helen S. Johnson assisted Thomas with fieldwork on the Wind River Reservation and is co-author of Also Called Sacajawea: Chief Woman’s Stolen Identity.